NanoLite: Smallest flashlight in the World? 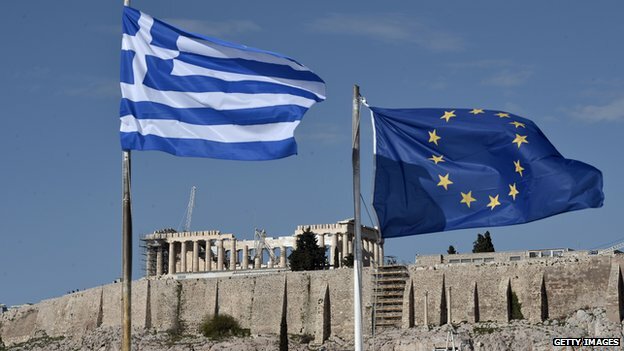 Greece about to Leave the Euro? 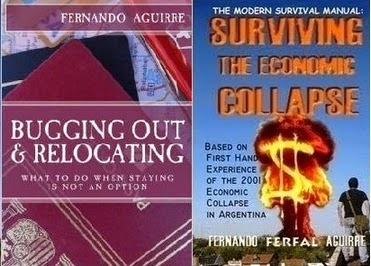 How to Financially Survive an Economic Collapse? combat large increases in crime. More poverty, more crime, and the same solutions that were implemented in the third world are now taking place in America. Even the fee sounds familiar. Around 20USd a month sounds pretty reasonable. This is yet another great example of this grey area I always make reference to, the difference between fantasy and reality. In the fantasy world WROL spreads after whatever disaster and brave survivors fight for the scarce resources left in some romanticized post-apocalyptic world. The real world is far less melodramatic. No raiders, no looter refuges, just crime, ordinary, daily, slow grinding crime and on the meantime you still have to show up to work to pay the bills and send kids to school. There’s no neighborhood patrols and no final epic battle with the final boss, leader of the raiders and looters. There’s just years of having to deal with constant crime and theft which unfortunately doesn’t end with the slaying of some boss like it happens in movies and videogames. Pulled out a #10 can of Idahoan potato flakes from our year 2000 stocking days, it was dated with an expiration of 1999. Before even looking around the web for the real shelf life of these cans I opened one (seal still good), did the visual test, the smell test even ate a few flakes, they seemed fine. Cooked up a batch and they tasted like fresh bought. Granted they have been stored at a dry, cold and dark 55 deg temp. But one should never assume that is enough. I know there are a lot of potato flake packaged products out there that include an oxygen absorber in the can, they will go 30 plus years. This original Idahoan can had no oxygen absorber included but obviously was prepared and packaged right and is just fine. After reading your comment, “I like this stuff a lot. It stores almost indefinitely as long as it’s kept dry.” I just wish to confirm that good advice. Good luck with this site and the future. Hey JM, thanks a lot for sharing your experience. Potato flakes are one of the foods that store best. Kept dry and sealed away from bugs they practically last forever. Keep in mind that the ancient Incas would just stomp on them, crush them flat and leave them to dry on the windy Andes mountains for a few days before storing for years. 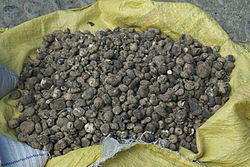 This process is known as Chuño and it is still used today. Potatoes may not be the most nutritious food but combined with other staples and vitamins it will keep you alive and going. I happen to like mash potatoes and we do eat them somewhat often. Eat them when pregnant and expose your kids to them from an early age seems to be the way to go. In doing so, a child is ten times less likely to become allergic to nuts. The study followed hundreds of children from the time they showed a slight sensitivity to peanuts -- between 6 and 11 months old -- until they were 5 years old. Those who avoided peanuts were more likely to develop full-blown peanut allergies than those who didn't, according to the study published today in the New England Journal of Medicine. Only 1.9 percent of those who were exposed to peanuts early developed the allergies compared with 13.7 of those who developed allergies after avoiding peanuts, the study showed. A couple years ago I put together a few survival kits (no, I don’t have any left). I included a piece of saw with some duct tape wrapped around one end so as to use it as a handle and to keep some tape available in the kit. The hacksaw blade can be used as a firesteel striker and the saw can be used to cut metal. A few days ago I had to cut through an old lock and decided to try using the saw in my kit to see how well it worked in real life conditions. It did take a few minutes but it did cut through the lock. This is a simple tip for when putting together small survival kits such as altoids and other tin kits. You can also sharpen the other side so as to use it as a knife. A wharncliffe style tip can be grind into it, well suited for detail cutting. Priceless! Greece, Goldman Sachs, Zombie economy and even Hillary Clinton! I read a variety of news websites. I don’t trust any, but I read several. One of the websites I pay attention to the most is RT news. Yes, Russian Today, which I know has an obvious pro-Russian bias, just like all other media corporations tend to be biased in favor of the interests they represent. The pro-Russian agenda regarding Ukraine is clear, but their economy reports are pretty good. Keeping all this in mind, I find RT surprisingly “fair and balanced”. A gem in RT is Max Keiser’s Keiser Report. Below is an episode you just have to watch. It involves Zombie economy, Greece debt crisis, Hillary Clinton, Goldman Sacks and corrupt banking in London and Wall Street. Do yourself a favor and find the 25 minutes to watch this one! The book recommended in the show is “Austerity: The Demolition of the Welfare State and the Rise of the Zombie Economy”. His Episode 720 on the HSBC is also Fantastic by the way. 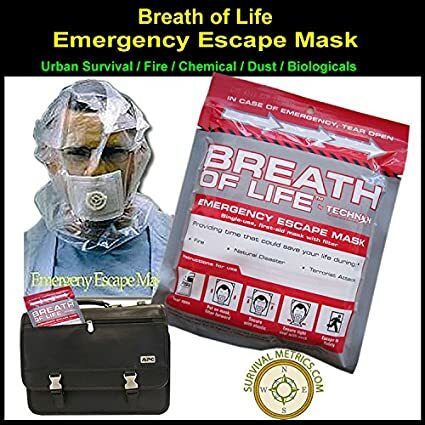 I feel strongly about having means to procure breathable air so I favor the idea of having a collapsible, fold flat respirator in your EDC bag and other kits. This product looks good because it’s a complete hood that also covers the rest of your head, protecting your eyes as well. I haven’t tried it yet but it does look very promising. It's a bit expensive but if it does work well then its worth it. This hook could give you extremely valuable minutes during a fire, terror attack, tear gas or other disasters where the availability of fresh breathable air has been compromised. Those of you that have been following me for some time probably have an idea of what life is like in Argentina. Because of the topics I usually write about, I end up focusing a lot on negative aspects rather than the positive ones. Relatos Salvajes or Wild Tales does a great job in showing that wild, brutal side. Because of non-stop corruption, because of class hate, because of impunity, because of bureaucracy that drives you nuts for days while in any sane country you could fix it with a 5 minute phone call, because of all these reasons people in Argentina tend to be stressed and on the edge of erupting in violence. Relatos Salvajes is a movie about just that, about people exploding violently in different circumstances. Some of the jokes, slang and expressions are so typical Argentine that may be lost in those that weren’t born there but still, being as objective as I can be it has to be one of the best films I’ve seen in 2014 and 2015 so far and that’s why its an Oscar nominated movie. Violent, but if you like dry, dark humor don’t miss it. The knife has always been the quintessential survival tool, as useful today as the day the first man used a sharp shard of stone to cut. Today you could make a strong case for a wallet and cellphone being even more useful in many ways but the fact remains that a knife is our most time-tested tool when it comes to manual labor. 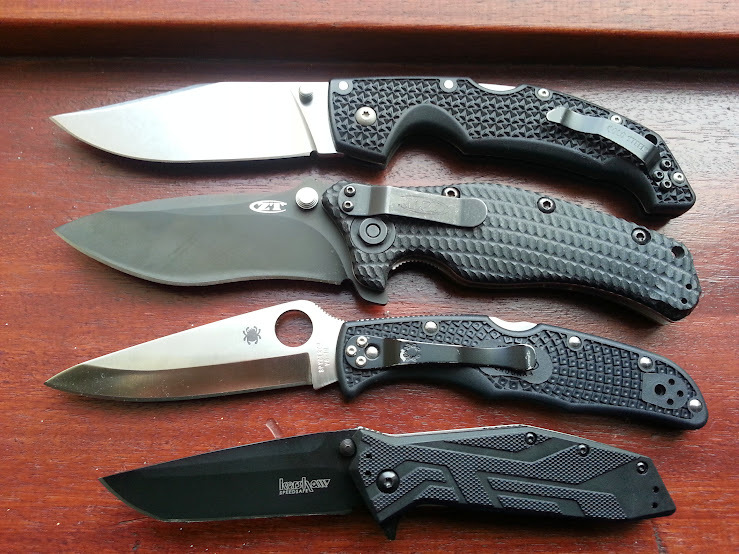 There’s been a revival in the world of knives lately, a new found fascination with them. There are literally hundreds of thousands of models to choose from. While knife fanatics never had it this good, its also true that trying to find an everyday carry pocket knife can be overwhelming. Which one is best, or even a better question, which one is best for you? If you want to know what knife suits your best, you can considerably narrow down you choices by answering three questions. 1)What knife can you carry? Before you look into anything else, know the limitations you’re working with. What can you legally carry? Look into your local knife laws. They change from country to country, even from one city to another in many cases. Is there a blade length limit? Are some types or styles of knives banned? Can you carry a locking knife, a one hand opening knife? Are they legal, but only under certain circumstances that may or may not apply to you? In my experience very few people know their own knife laws. In several occasions, I’ve come across people that assumed certain knives or guns were illegal when they were not. Look into your working environment and check for any knife policy that they may have. Limitations may be practical as well. If you’re wearing a suit as part of your regular attire, chances are that having a Cold Steel Espada or Leatherman Surge clipped to your pants may not be realistic. Once you have a good understanding of the ground rules you have to work with, you can move to the next question. Sometimes a Victorniox is all you need: top to bottom. 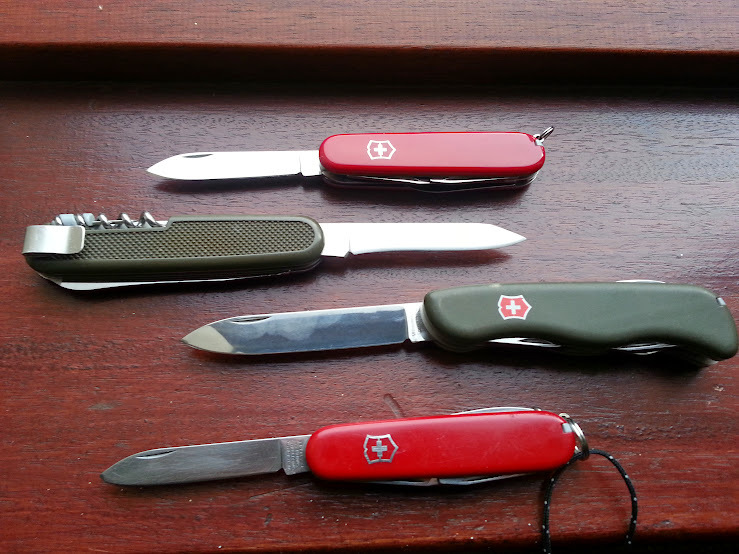 Hiker, German Army Knife, Forester and Spartan. 2)What’s the use intended for such a knife? Here we must be honest with ourselves. There’s no wrong answer. What are you planning on using your knife for? What kind of things would you like to be able to do with your knife? If you just want a sharp edge to cut open mail, envelopes and a bit of string here and there then pretty much any tiny knife will do. Do you want something tougher, maybe cutting thicker rope, cutting into wood and plastic, a general-use utility knife? Maybe you want something a bit bigger, with a stronger blade. Are you thinking about using this knife for defensive use? Wilderness survival? Do you want a jack of all trades type of knife? Maybe you’re needing a tough, 4 or 5 inch blade folder, or maybe you would be better served by a multitool instead. Are you planning on using this knife to cut fruit or prepare sandwiches at lunchtimes or when going on picnics? Then a 3 inch blade is about right, and you want a knife that is easy to keep clean. You want a polished, stainless steel blade for this kind of task, so as to avoid contamination. If you want a knife to deal with all ordinary task as well as the most diverse contingencies and emergencies, then maybe you’re looking for a good multitool instead, something like the Leatherman Wave or Leatherman Charge. ZT Zero Tolerance 0561. 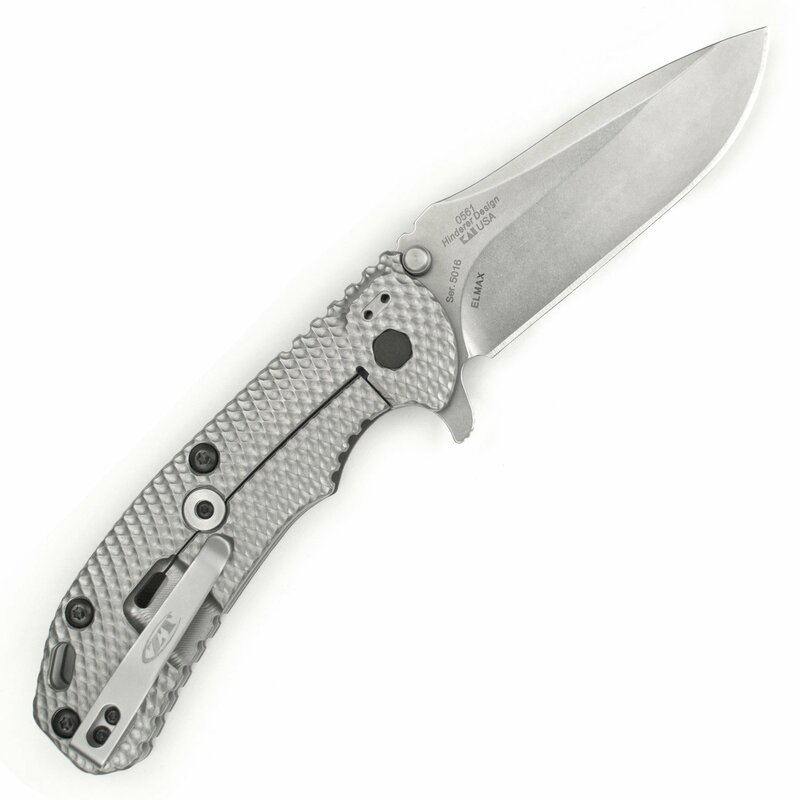 Hinderer Design. ELMAX Steel. Titanium Frame. A high-end, hard use folder. 3)What do you want to carry? Sometimes a Multitool is what you're really looking for. Left to Right, Leathermans for all budgets. 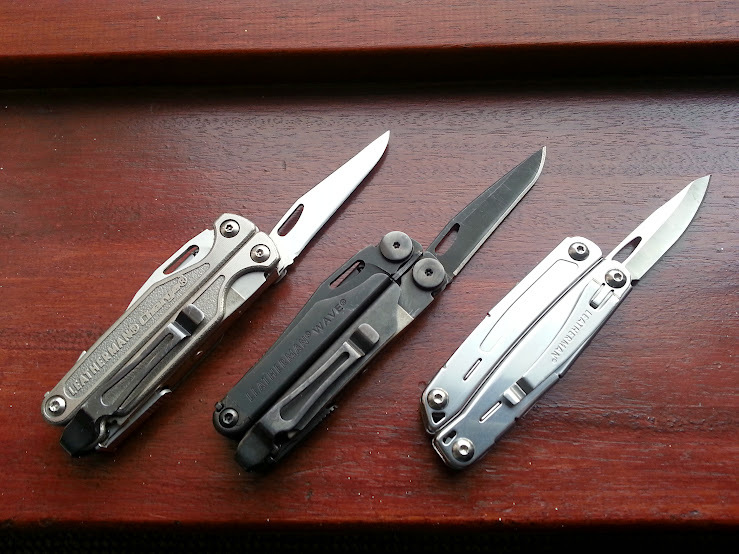 Leatherman Charge Tti, Black Wave and Sidekick. Now that we know what you can have and what you intend to use it for, its time to bring it down to what you’re happy with. Do you favor certain looks, certain esthetics? What kind of knife do you “like”, just because? How big or small a knife are you happy with, besides whatever practical use you have in mind? What about price? How much money are you looking to spend? Answer these three questions as best as you can and you’ll have your perfect pocket knife. The media is going nuts with the situation in Greece which means bankers are becoming pretty desperate and are doing their worst, trying to convince the world of the catastrophic, end of the world, madness of epic proportions! Leftist Greek Madness they say! The simple truth is that we have the bankers and other global elite desperate to break Greece while the new Greek government is trying to hold its ground. In reality, what Greece is asking is nothing new. In fact, during the London Agreement on German External Debts of 1953, the repayable amount of German’s debt was reduced by 50% to about 15 billion marks and stretched out over 30 years. Someone should remind Angela Merkel of this. a)If Greece leaves, it won’t be paying any time soon. b)They simply cannot afford to lose a Country and damage an already fragile Eurozone. c)Even worse, they sure can’t let Greece go, and have Greece do better than before by running its own country. After an initial period of recession and inflation, Greece could be booming thanks to a cheaper local currency in a little over a year. d)If Greece leaves and benefits from its own currency, other countries may follow with similar demands to remain in the EU: Stay in the EU and reap its benefits, while at the same time go back to having your own currency. Hey, if UK gets away with it, why can’t everyone else? e)At this particular moment, if there’s one thing European countries don’t want is to start losing territory or political and economic alliances to Russia and China. 1) Stock up on food, water and other basic supplies. Pay special attention to food and medicine. Stock up on fuel as well. Buy some metal jerry cans and keep them full in case of inflation or in case you have to leave in a hurry. Food may quickly become more expensive due to inflation and medicine may no longer be imported into the country for a period of time. If you haven’t done so already, get a weapon for self-defense. Chances are you wont be needing it but its better to have one anyway. 2) Get your money out of the bank. Living in Greece you should have opened a bank account in a more stable country a long time ago. At the very least, keep a good amount of cash at home. If Greece does leave expect bank accounts to be immediately frozen and no more transfers out of the country. Euros will sure be worth a lot more than the new currency but there’s something important here to keep in mind: It may be the case that Greek-issued Euros are converted to the new currency and are no longer accepted in Europe. If possible, get your money out in another EU country so as to have non-Greek Euros in hand. 3) Just in case, have a plan to leave to a safer location, maybe a neighboring country. It isn’t very likely, but if Greece does leave there may be some corporations that would like to destabilize Greece so as to benefit from its downfall. Maybe create a little “Greek Spring” of some kind. With cash, food and fuel you should be able to travel if things start getting ugly. Dropped by the BBC in Belfast for an interview with Ed Butler for Business Daily. I'll let you guys know as soon as its available! There’s been a lot of talk lately about the possibility of Greece leaving the EU and dropping the Euro. If we pay attention to Alan Greenspan, the Euro is doomed. I do pay attention to people like Greenspan as well as what is being said by the mainstream media in general but not for the information they provide, but for what they want us to believe and the agenda behind it. This is a very important distinction, and one that you better learn to understand, because it keeps getting worse: The mainstream media is not there to inform you. It’s there to create a specific public opinion by misinforming you. The mainstream media is not there to serve you, the viewer. It’s there to serve its owners and their interests, something that makes complete sense but we often forget. When we hear that Greece is about to be kicked out of the EU, the intention is to force Greece into agreeing to the IMF and European banks conditions. This is of course not in Greece’s best interest. What’s most likely to happen? It depends. The two most likely scenarios are Greece staying in the EU, not leaving it. In the first case, and the one I believe is more likely, the newly elected government does as it has promised and fights for a better deal, repaying at a 1 or 2% of the GDP instead of 4%, in a manner that Greece can slowly pay its debt but not bleed to death while doing so, which is often what banks and vulture funds want. Syriza already went from “we’re not paying” to “we’ll pay but under more favorable terms”. So far, they’ve been allowed to get away with it, but I doubt the Greek people will sit while they are thrown under the bus. In the second scenario, the Syriza government is bullied or paid off to continue with the austerity measures they said they would oppose. In this case, Greece stays in the EU but there’s more chances of internal problems within Greece due to the already tough conditions and political betrayal. Finally, and although possible I would say is the least likely outcome, Greece leaves the EU and drops the Euro. Here, Greece would go through a short term period of instability but given the greater power of managing your own currency Greece would be seeing a lot of progress in just a couple years. Still, being out of the EU in a world where you’re either USA, EU, Russia or China, not being part of something bigger does have its disadvantages. This is the least likely scenario most of all because this is the one in which the EU and the Euro are damaged the most, bankers don’t get paid, and therefore I doubt the European bankers will go for it, they would make a much better offer to Greece rather than seeing them go and do such damage to the stability of the EU. Also, given the situation in Ukraine with Russia, the last thing the EU or even the United States needs is Greece in the pocket of Russia. A ceasefire has just been agreed but I don’t think we’ll see any immediate results any time soon. Putin doesn’t joke around and literally as the ceasefire is agreed Putin is sending dozens of tanks and missile launchers across the border into Ukraine. War in Ukraine will persist throughout the year but at the same time I believe that in spite of the very real risk of the conflict extending through Europe, chances are it will stay mostly in Ukraine and maybe just in Eastern Ukraine. The reasons for this are several. First, Europe doesn’t want war. UK is not interested in fighting such a powerful foe, neither is Germany, who also happens to be further east closer to the angry bear’s border. The European elite is happy enough going back to leaving Ukraine alone and not risk it, and Russia is happy enough with Europe stepping down. On the other hand USA needs another war but then again ISIS is going well and promising a good number of those highly needed military contracts. While the military lobby needs an enemy to get those contracts rolling, they much rather spend it fighting ISIS and maybe have to deal with a terrorist attack on US soil every once in a while and a few military personnel casualties, rather than go fight Russia and start throwing nukes at one another. Keep it in mind next time someone argues that the second amendment is dated and not relevant today. Free people own combat firearms. Not just hunting shotguns or target practice rifles, but guns they can fight with. Slaves have never been allowed to own weapons. Never forget that. The Northeast is getting hit pretty hard by intense snowfalls. While few things are as predictable as winter, it always seems to catch some people by surprise so its better to be ready. Here’s some well-known advice along with a few tips you might find handy that you probably didnt know of. Obvious enough, but still worth reminding. Have at least a month worth of food at all times. More is always better, but at least a month will be more than enough to deal with most storms. Keep in mind that you may have to feed family, friends or even neighbors that are in need of help. When it comes to the kind of food, food that needs no cooking and is shelf-stable such as canned food is ideal, but food that cooks easily and needs no refrigeration also has a place. Pasta is simple enough to cook and requires little fuel if you happen to be using a camping gas stove. A warm plate of pasta is also nourishing, full of calories that you will need to keep you warm. Most people like pasta and kids seem to eat it with little trouble. It stores well too. Don’t forget chocolate drinks, coffee and tea. A neat tip is to have plenty paper and plastic plates, cups and cutlery so as to not have to do the dishes, which can be problematic if there's no power and there's not much water to go around. Make sure you have enough spare medicine to get you through a couple weeks if necessary. You just don’t know when you’ll be able to get more. Batteries, flashlights, a battery-powered radio to listen to news, a generator and enough fuel to run it are also important. 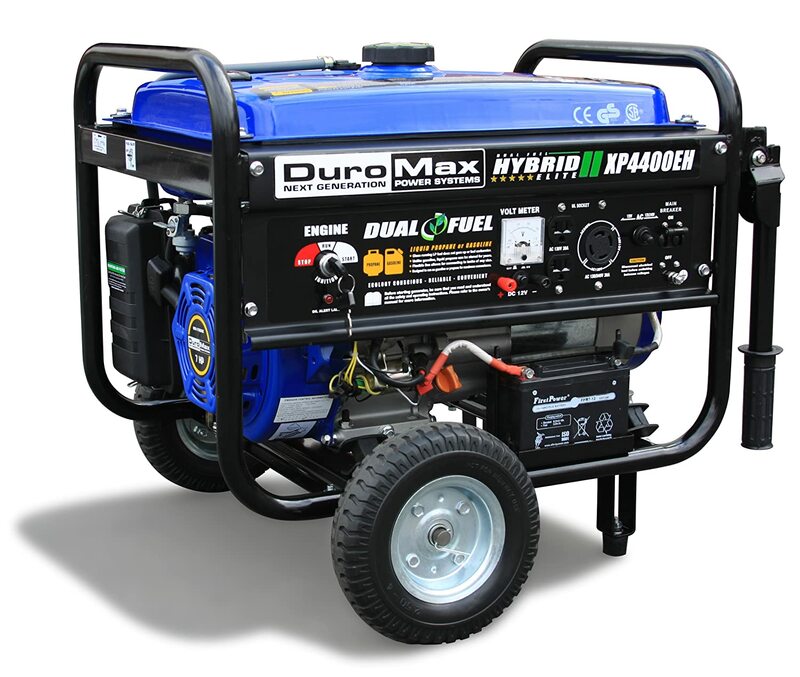 Make sure you have fuel for your car and generator as well as other fuels such as kerosene for heaters or propane for stoves, heating and propane powered generators. Don’t forget water. You can’t drink snow and tap water may be contaminated during power outages. Pipes can also burst, affecting the water supply. 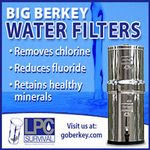 Have several gallons of water stored, at least seven gallons per person. Stay put and avoid taking unnecessary risks. Don’t drive during snow storms. Car accidents are a common cause of death during storms. You also risk getting stuck or crashing and having to walk back home, risking hypothermia and traffic accidents. This is also a reminder, have a winter kit in your car including spare clothes, blankets, food, water and spare cellphone with charger. Be careful not to underestimate the storm while overestimating your physical abilities. Its much harder to walk on snow, you get wet, lose heat and get tired much faster. Unless you have a wood stove, when it comes to staying warm during a blackout, nothing beats the efficiency of a kerosene heater. 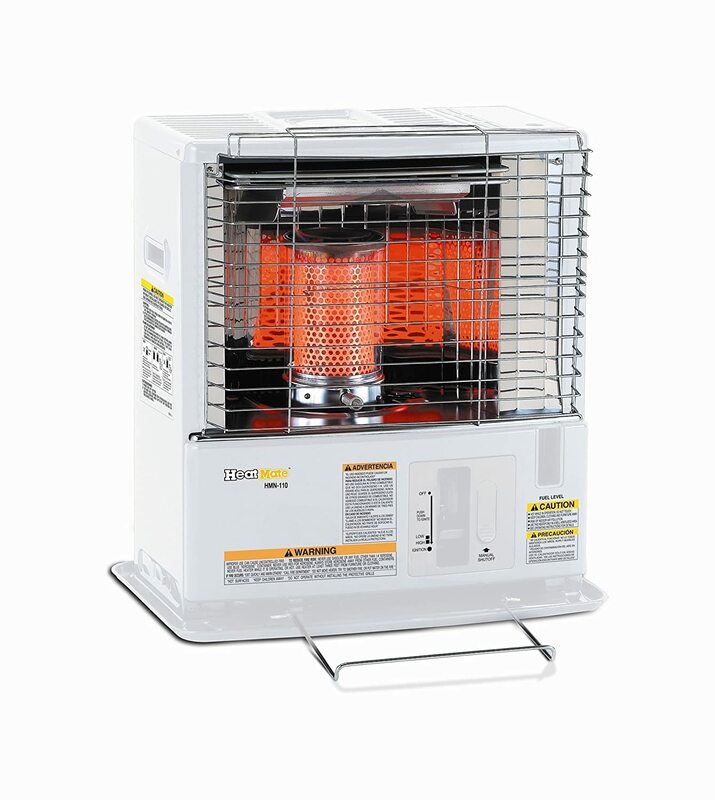 A modern radiant heater or convection heater is safe, efficient and has no smell when operated correctly. A gallon of kerosene is in most cases enough to heat a room for a day. Make sure you leave a window opened about an inch when operating a kerosene heater in a closed room so as to ensure proper ventilation. A CO detector is pretty much mandatory when using fuel burning heaters. When it comes to clothing, favor layers for staying warm and dont forget about gloves, hats and scarfs. Avoid cotton, "cotton kills" as the saying goes. Unlike sinthetic and wool materials, cotton stays wet and cools your body much faster. Keep your rechargable batteries and cell phone charged. A charged battery bank or solar charger are also good ideas so as to be able to power your cellphone during blackouts. Once power goes down, unplug all appliances so as to avoid harmful surges and spikes in power when the power comes back on. Be very careful when shoveling snow. Its an intense physical activity and every year people die of heart attacks when doing just that. If you have to shovel snow, do it at your own pace, take small breaks every five minutes. When going outside, even if its to take out the trash, spread salt or shovel snow, let another family member know what your are doing! You can have an attack, you can even slip on ice and get hurt. Unable to move on the ground, you can die in a matter of minutes if exposed to extreme temperatures. Issued to troops, proven in the field, the WileyX SG-1 are classic tactical goggles that offer a ton of eye protection and functionality while still looking good. The removable lenses allow you to go for smoked or clear lenses depending on what you need. The temples (arms) can be replaced with a strap (included). The strap drastically improves retention, turning your sunglasses into tactical goggles that still look like sunglasses. 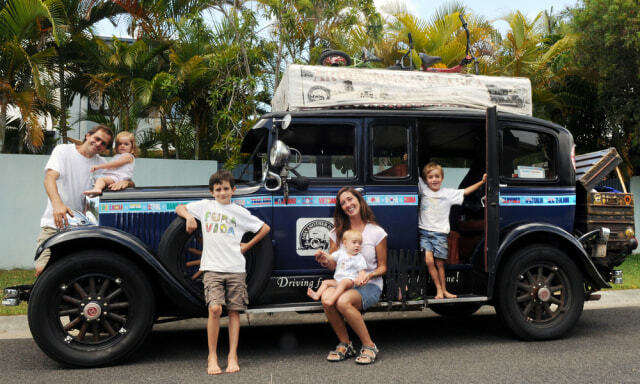 The Zapp family has been traveling all over the world for 14 years now. They’ve gone from Argentina to Alaska, traveled all over Africa, Australia, and several Asian countries. What was their vehicle of choice for such an adventure? Some reliable, commonly available 4x4 which would be easy to find spare parts for? Nope, its a 1928 Detroit-made Graham Paige (Model 610). Truth be told, they’ve manage to do some impressive things with this car. Hernan Zapp learned to repair the car to a great extent, but once you listen what he has to say you notice that their true asset to achieve all this is an incredible positive attitude. They also have a book called "Spark your Dream", wich I haven't read but I bet is full of interesting stories and more than a few survival tips and food for thought. So, what do you think? Are they crazy or are they some of the most sane people you’ve seen in some time? What vehicle would you take on such a trip? 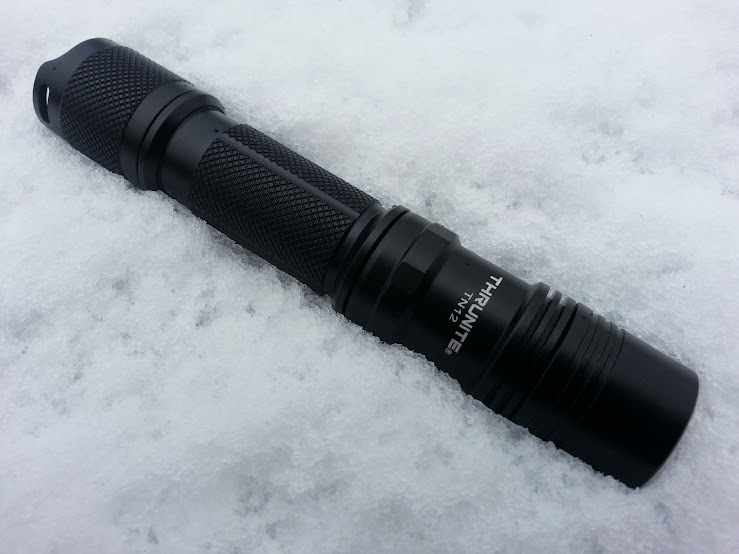 I expected the flashlight to be powerful given its 1050 lumen output with a XM-L2 U2 LED. I was expecting it but it still caught me by surprise. The ThruNite TN12 is bright. 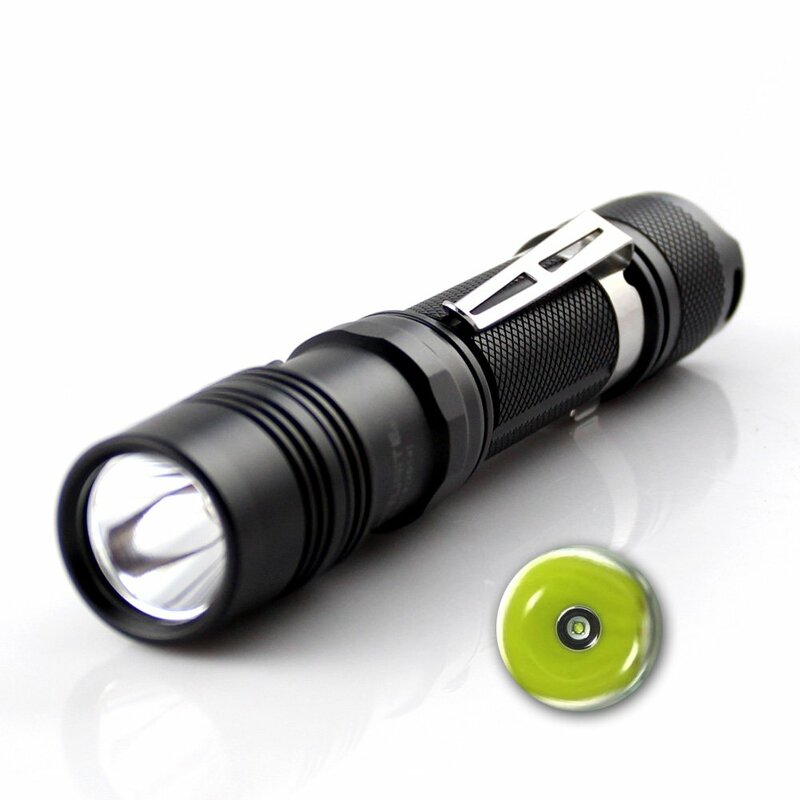 Eye-scorching bright, which is precisely what you want in a tactical flashlight. 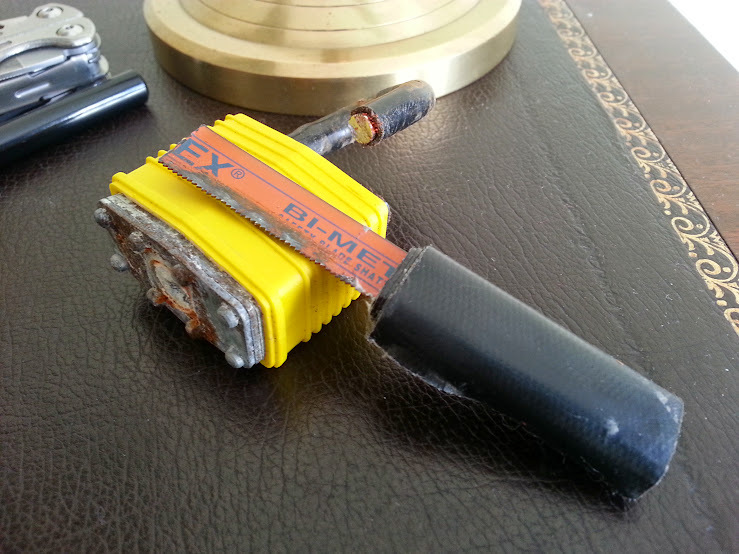 The TN12 uses one 18650 rechargeable battery or two CR123A batteries. The tail clicky button turns the light on and off and allows for momentarily on/off by pressing the switch without fully depressing it, as expected in a tactical flashlight. It has five brightness modes, 1050lm(90min) 800lm(1.5hour) 280lm(5hours) 20lm(74 hours) 0.3lm(1585hours). These can be cycled using the side switch button. Depressing that same button for a second and it activates the strobe mode. I asked for a neutral white LED and the one I got had great coloration. One of the best I’ve seen in a long time with a bright white, slightly creamy coloration which is very pleasant and renders colors very well. The smooth reflector provides a good amount of throw. The transition from hotspot to the surrounding area is not as smooth as with an orange peel reflector, but the added throw is well worth such a slight disadvantage. 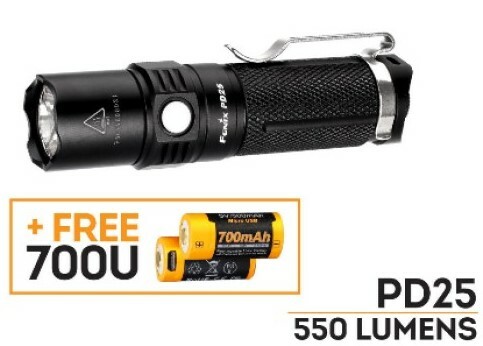 I think this is a flashlight that would work well for both tactical/defensive use, as well as a great all around flashlight for someone living in the country and needing a bright light with good throw for outdoor use. I’ve come to appreciate Thrunite flashlights because of their quality of construction and reasonable prices. I’m glad to see that the Thrunite TN12 keeps up with such tradition. Check out this great reality show in Norway. A shame it's only 6 episodes long. A liberal radio show host joins the Army, Navy, Air Force for a year. It's like a realistic Gomer Pyle or Private Benjamin. He gets a softer experience but still neat to watch. A bit rude to his F-16 pilot though with questions on war. At least by the end he mellows out and sees the Military doesn't turn young people into brainless killing robots. Imagine if they redid this show in the USA with Miley Cyrus or Justin Bieber? Ha! Loved the first book, will get the second soon. Thanks Brad, that's actually a good show, much more interesting than the trash floating around. I liked the first part. Its interesting to see the cookie cut out liberal realize how reality clashes with his fantasies. Norway looks pretty good by the way. Nice, organized country. I just finished reading your book and found it very insightful and informative without the usual "panic." Thank you for writing it. protection with the added ability to raise some puppies for sale those who would like them. Here in the States I can only find breeders in the US and Canada. Unfortunately those breeders concentrate on show dogs which are bred to be docile. I had Bullmastiff who looked fierce but was a total whimp.... I'd like to contact a few breeders in Argentina was wondering if you'd be willing to help me in this area. As I wrote in my book “The Modern Survival Manual: Surviving the Economic Collapse”, I really do like the Dogo Argentino. In my opinion it’s the perfect dog for someone looking for a multitask work dog, especially for someone living out in the country. This is a dog that will hunt large game, defend the property, but most of all defend the family from both men and beast. When it comes to courage and ferocity when it counts, no other dog compares to the Dogo Argentino. Other dogs will bark when they detect and intruder in the house. The Dogo will stalk and attack. Dogo Argentinos kill home invaders all the time in Argentina. Its mentioned in the news often. A small lap dog may be easier to care for, but a Dogo can actually keep you safe when going for a walk. I wouldn’t worry much about buying Dogo Argentinos in USA. There’s some people already breeding them in America and using them for what they are supposed to be used, which is hunting wild boar. Having said that, if you want the best of the best then yes, go to Argentina and visit the Nores family in Cordoba, who are the family that originally created the Dogo Argentino and are still very much passionate about it. It wasn’t that long ago that one of their Dogos, “Morocho”, killed a puma (cougar) protecting a couple small girls of the family. Things are very different compared to Argentina. Ireland is of course much safer. Chances of the average person getting shot are slim to say the least, while in Buenos Aires that happens every day. Then there’s the weather. It rains all the time so gear has to be waterproof. My canvas bags and satchels stay mostly home these days. In Buenos Aires I used to walk a lot more. I would move around using buses, train and subways a lot more. Now, I mostly use my car which means I have many of the things I would normally carry in the messenger bag already in it. In my car I have a good first aid kit, plenty of water, spare clothes and other gear. 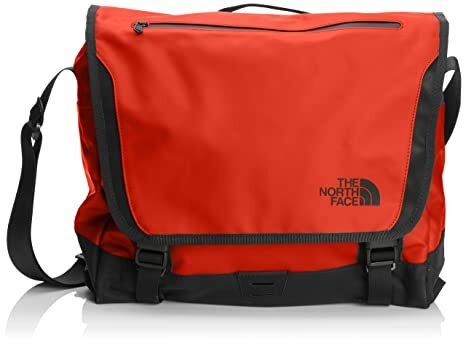 Having said that, if I’m walking around town or traveling using public transportation (pic above, traveling by train), these days I’m likely to carry my North Face Base camp messenger bag. Mine is a bit older than the newer edition pictured below. 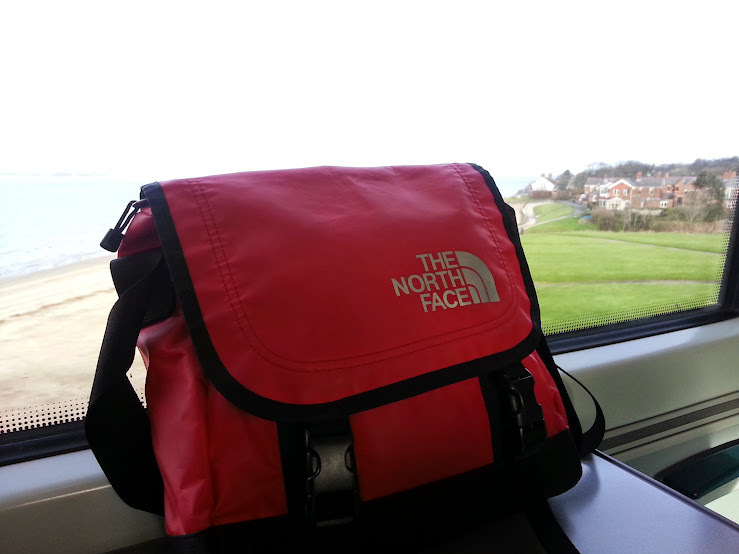 On loner trips I’ll have one of my Wenger backpacks with more gear in it. This is of course not taking into account what I already carry in my pockets and person: Wallet, phone, pocket knife, multitool, flashlight. On most days when I’m not carrying a bag and just driving, I’ll have my house keys in the leather pouch in my pant’s pocket. There’s nothing really out of the ordinary in it, and the contents of my bag will change as times goes by, depending on personal circumstances and even geographic location.